There is no college student who wouldn’t want to earn some extra pocket money. On the other hand, working full-time or even part-time is not viable for many students, as it’s important to keep time free to concentrate on studies, assignments, classes and exams. So what is the best way college students can earn an income without putting their grades at risk? If you answered “freelancing”, then 10 points for you! Freelancing is one of the best ways you can earn money at college, as you can adjust the projects according to your own time and get decent pay as well. By now, you must be wondering just what freelance jobs you could do, and how much you could earn. You can teach according to the level you want, from K-12 students to peer-to-peer tutoring. You can schedule the timing of your sessions according to your own convenience and you do not have to worry about completing a fixed amount of hours because you are paid per session. And the most exciting part is that you do not even have to leave your dorm room or apartment to teach anyone. You can also become a tutor in an indirect way, by creating a course video and selling it to online learning platforms. If you are a journalism student or simply enjoy writing and blogging, you could look for freelance jobs as a content or blog writer. Though you will gain useful experience, you should also expect to not be credited for all the content you write. But, on a positive note, freelance writing gives you a lot of flexibility in terms of schedule, and the opportunities in this field are huge. You could also write blog posts for small businesses or individuals who will pay to get good content for their websites. Another good source of freelance jobs for college students, editing and sub-editing roles are ideal for all students with a good eye for detail and excellent fact-checking skills. Editing jobs may be less time-consuming than content writing roles. Again, having this experience will be a good starting point for your future career, providing good preparation for a wide range of communications-based roles. Everyone who has a business wants to establish their presence online, and website developing offers great opportunities for freelance developers. If you are good at developing simple websites that are suited for small businesses, you can earn steady money by selling your website designs. Nowadays, with the help of open source codes for incorporating e-commerce capability, you can even sell these websites to local businesses. Freelancing is all about finding a role you’re good at, which you can do any time. This means you’ll still be able to devote enough time and energy to studies and exams. If you think of any more great freelance jobs for college students, share your ideas in the comments below. 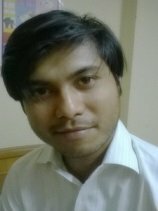 Hasib is a career coach, blogger and a professional writer working for jobs portal Naukri.com. With an interest in providing career counselling for professionals, he has contributed a number of articles related to the topic on various online platforms. You can follow him on Twitter, Google+ and LinkedIn. It's a very nice list of freelance jobs for students, thank you! However, don't you think there is more to the world of freelancing a student can discover?